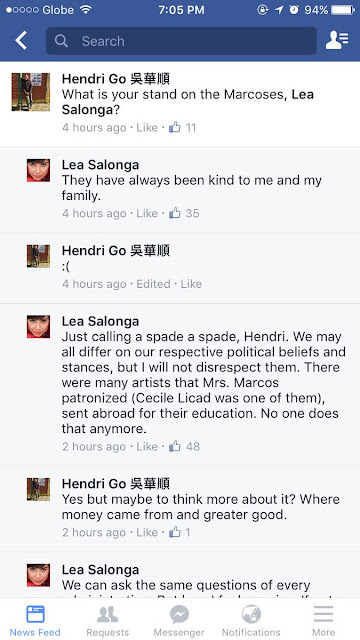 "Just calling a spade a spade." 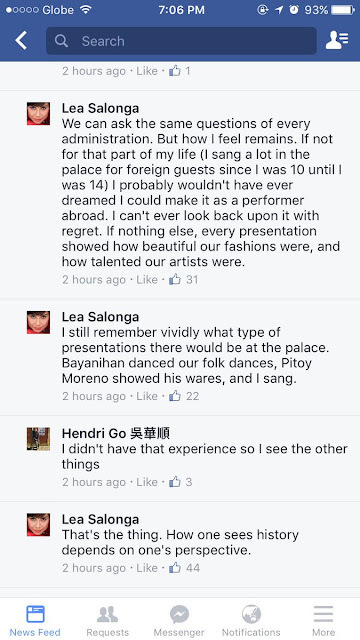 World-class singer and actress Lea Salonga expressed some views about the Marcoses. Read the Twitter exchange below.